Stunning 10x8 inch Mercury composite photo. 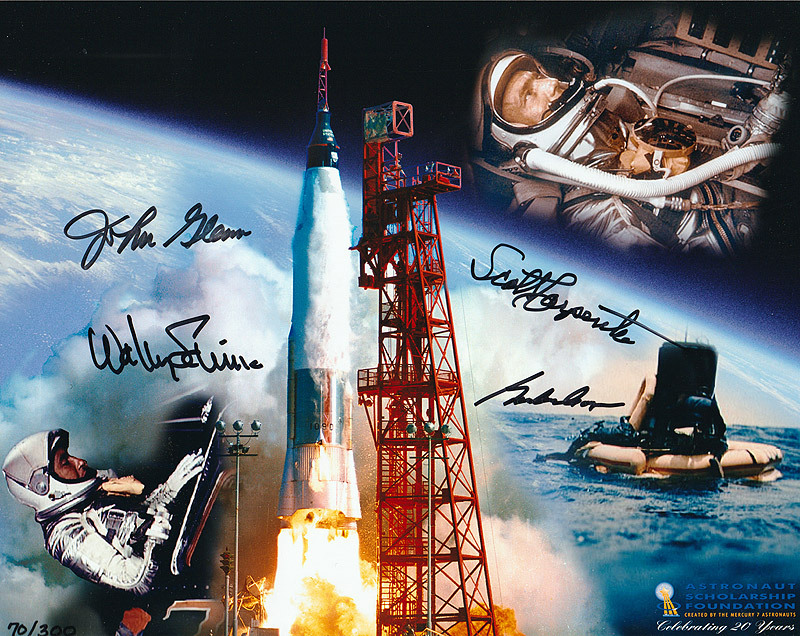 Signed by John Glenn, Scott Carpenter, Wally Schirra and Gordon Cooper. With small edition number in bottom left corner '70/300' and ASF logo in bottom right hand corner.